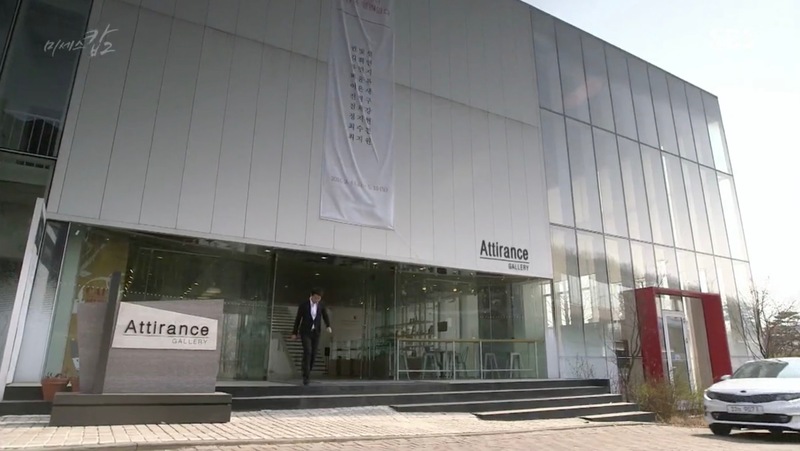 Jin Se-ra (Lizzy of After School) gives a press conference at the café of this gallery in episode 9 of I Picked up a Star on the Road/I Picked Up a Celebrity from the Street (나는 길에서 연예인을 주웠다) (Oksusu, 2018) on her break up with Kang Joon-hyuk (Sung Hoon). 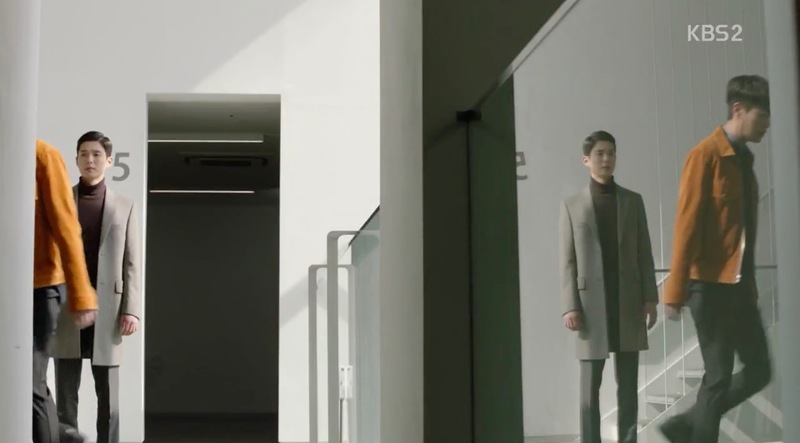 Cha Hyun-o (Shin Hyun-soo) comes here alone for a breather in episode 10 of Twelve Nights (열두밤) (Channel A, 2018). 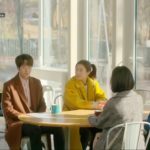 When asked if he has really every dated –while preparing for his date with Han Se-kye (Seo Hyun-jin)– in episode 5 of The Beauty Inside / Byooti Insaideu (뷰티 인사이드) (JTBC, 2018), Seo Do-jae (Lee Min-ki) recalls a date gone wrong at this place where he didn’t recognize his girlfriend. 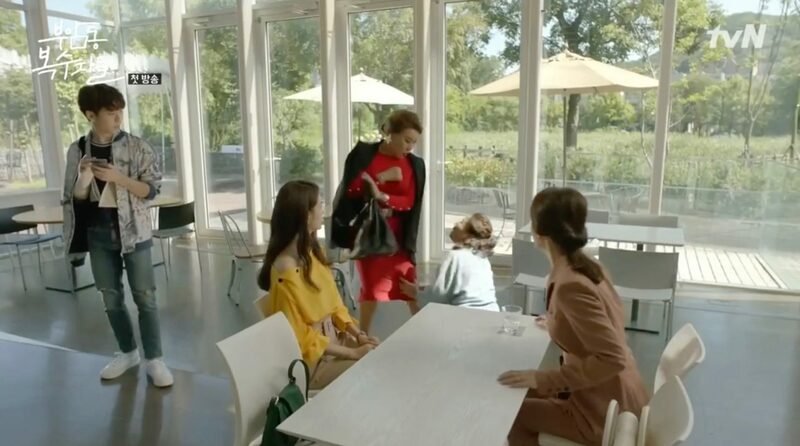 In episode 13, Chae Yoo-ri (Ryu Hwa-young) meets up here with a journalist to hint that something is strange with Han Se-kye (Seo Hyun-jin) whom she rivals with only to be ridiculed by Se-kye. 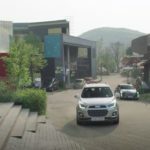 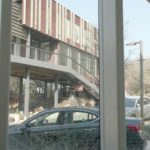 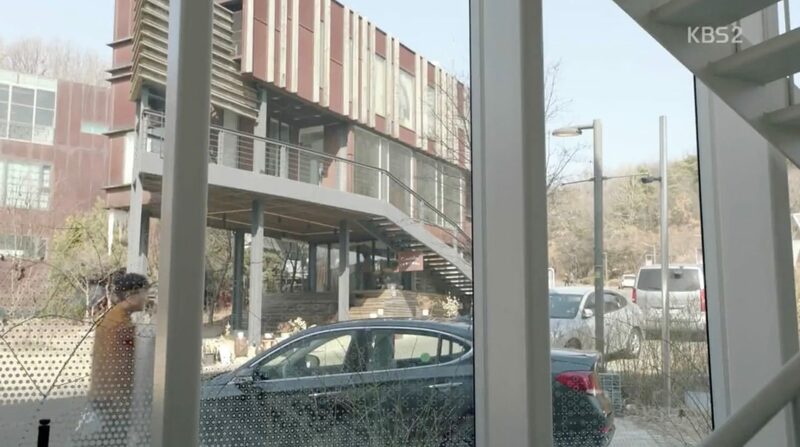 In episode 17 of Still 17 / Thirty But Seventeen / 30 But 17 (서른이지만 열일곱입니다) (SBS, 2018), this place appears as Gong Woo-Jin (Yang Se-Jong) father’s gallery that he runs on Jeju Island and where Woo-jin comes to visit to ask his father not to sell his house in Seoul. 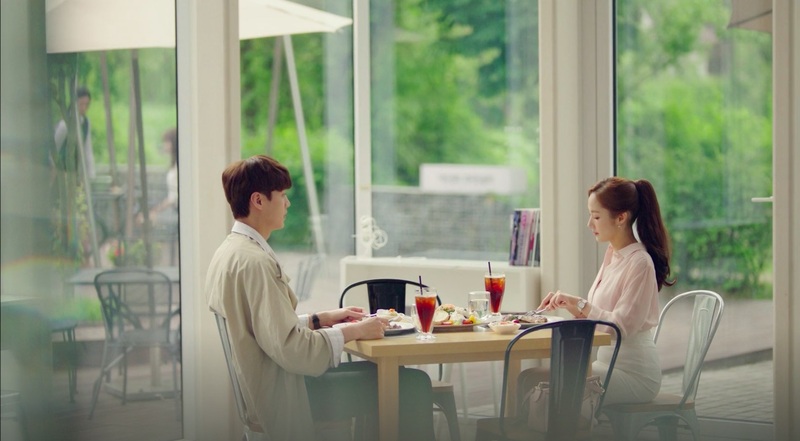 Kim Mi-so (Park Min-young) meets Lee Sung-Yeon (Lee Tae-Hwan) here for lunch in episode 7 of Why Secretary Kim/What’s Wrong With Secretary Kim (김비서가 왜 그럴까) (tvN, 2018) and Lee Young-joon (Park Seo-joon) finds an excuse to pick her up that she doesn’t spend more time than necessary with his brother. 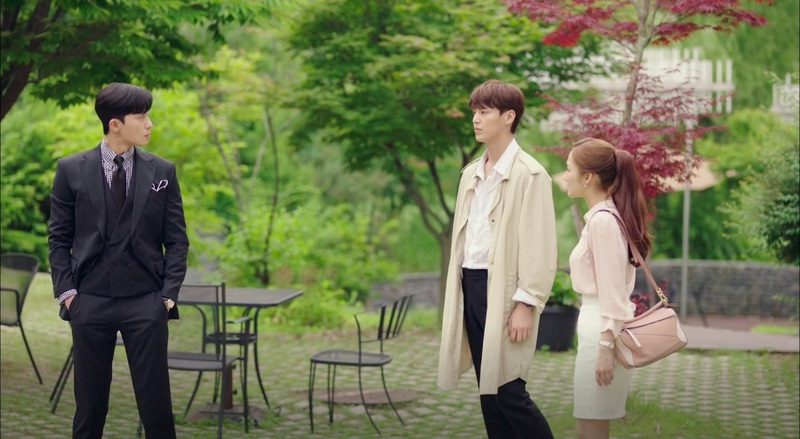 In episode 9 of About Time (멈추고 싶은 순간: 어바웃타임) (tvN, 2018), Bae Soo-bong (Im Se-mi) calls Choi Michaela (Lee Sung-kyung) and Kim Joon-ah (Kim Gyu-ri) to this restaurant for brunch. 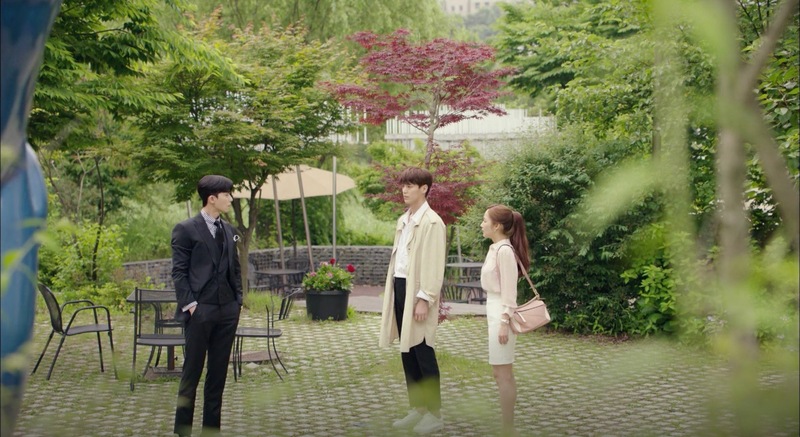 Here, Soo-bong expresses her amazement at how Do-ha’s past (Joon-ah), present (Michaela), and future (her) all meet face to face. 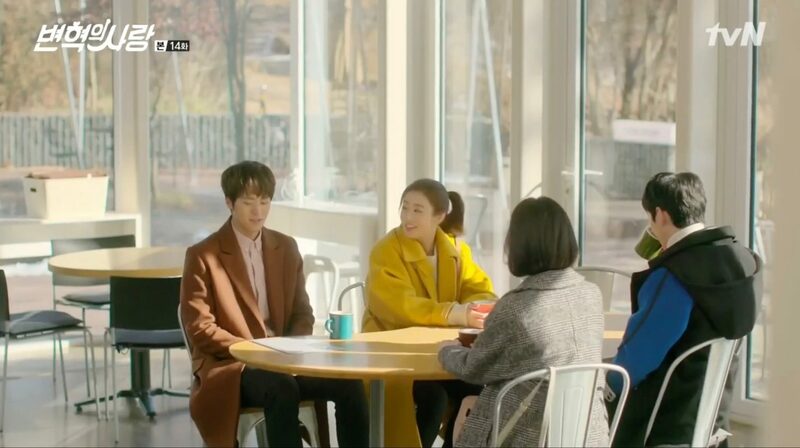 She tells both ladies that she and Do-ha are getting married soon that’s why it’s better that he clear things up with his past and end things with his present now to fix things up before he gets married to her. 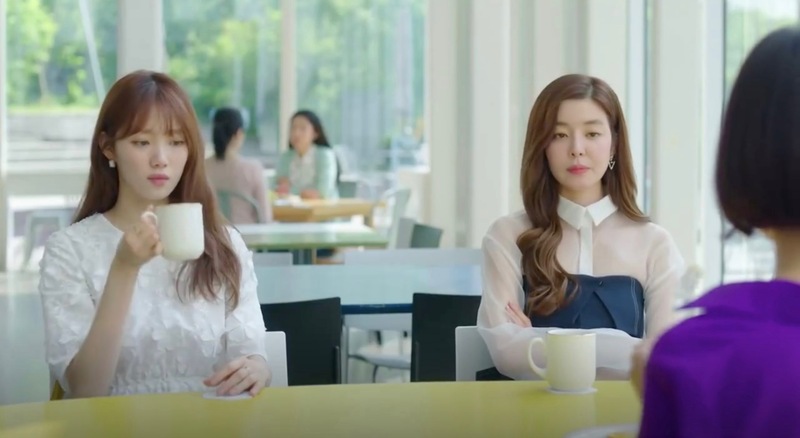 Prosecutor Eun Sol (Jung Yoo-mi) meets Choi Hwa-ja at her cafe for a talk in episode 7 of Partners for Justice / Investigation Couple (검법남녀) (MBC, 2018). 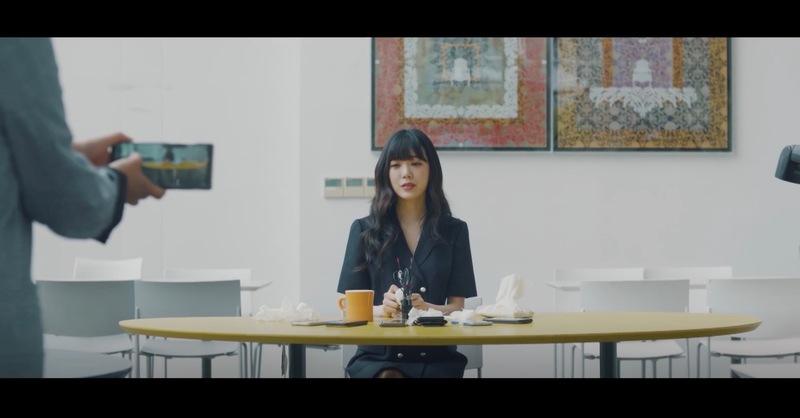 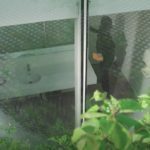 Eun Sol accidentally spills coffee on herself and goes to the bathroom to clean up; however, as she exits, she gets accosted by a frenzied Hwa-ja wanting to drug her. 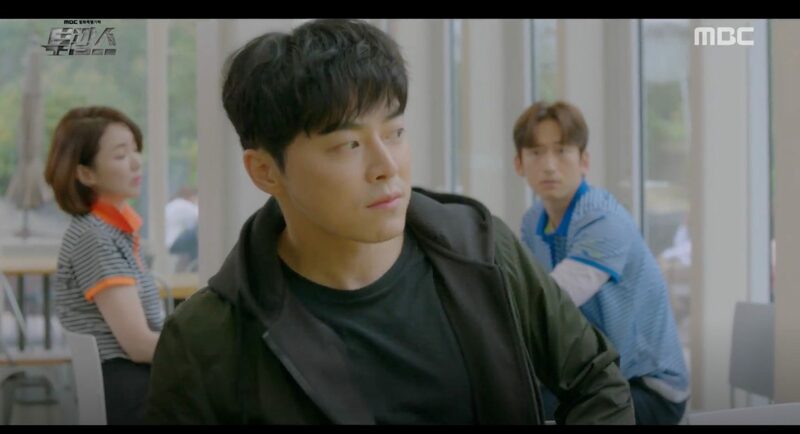 In the meantime, police officers Kang Dong-sik (Park Jun-kyu) and Cha Soo-ho (Lee Yi-kyung) head over to the cafe and save Eun Sol in the nick of time. 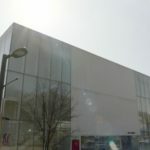 In episode 7-8 of Radio Romance (라디오 로맨스) (KBS2, 2018), this building appears as the gallery that Nam Joo-ha (Oh Hyun-kyung), Ji Soo-ho’s (Yoon Doo-joon) mother will open soon. 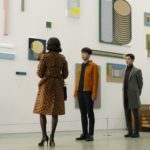 Soo-ho (in episode 7) and Lee Gang (Yoon Park) (in episode 8) come here to Joo-ha and either express their intentions or to make sure about her intentions. Kang Tae-wook (Ji Jin-hee) meets up with his mother here in episode 5 of Misty (미스티) (JTBC, 2018). 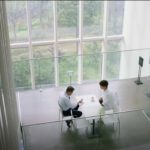 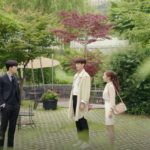 She wants to persuade him to finally separate from his wife while he only has ears for two men at a table behind him who gossip about his wife. 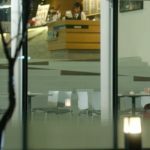 He goes and hits one of them and leaves the café while deciding he will stand beside his wife. Hong Baek-kyoon (Uhm Ki-joon) has a business meeting here in episode 10 of I’m Not A Robot (로봇이 아니야) (MBC, 2017-18) to find funding for the Santa Maria Team. 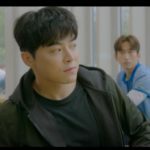 Cha Dong-tak (Cho Jung-seok) tracks down a conman here in episode 1 of Two Cops (투깝스) (MBC, 2017-18). 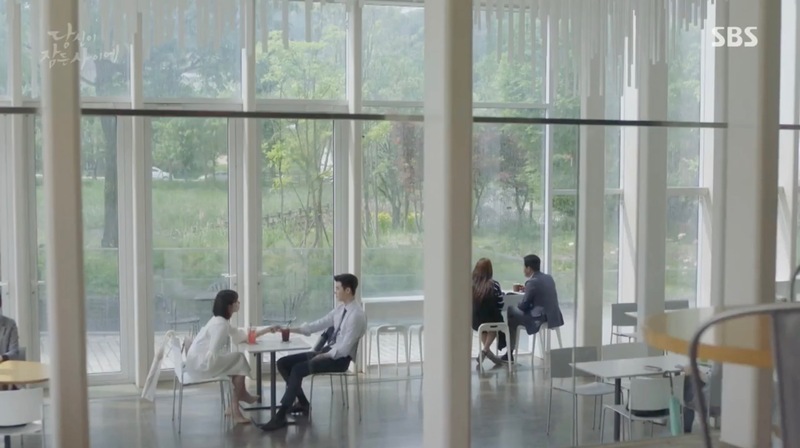 Everybody meets up here to make plans for an afternoon together in episode 14 of Revolutionary Love (변혁의 사랑) (tvN, 2017). 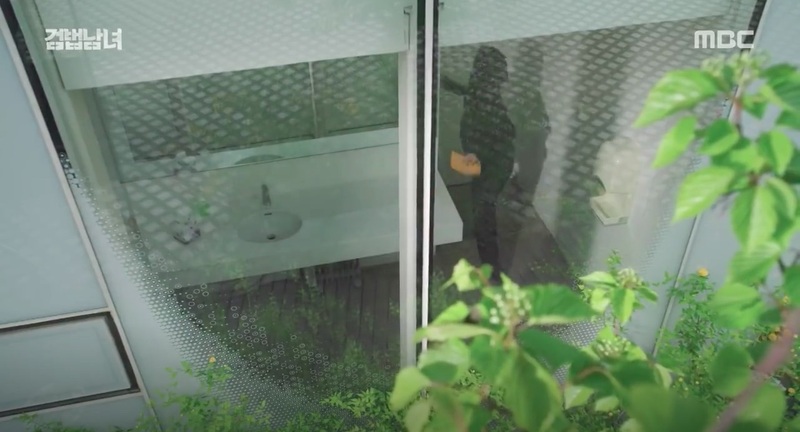 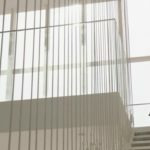 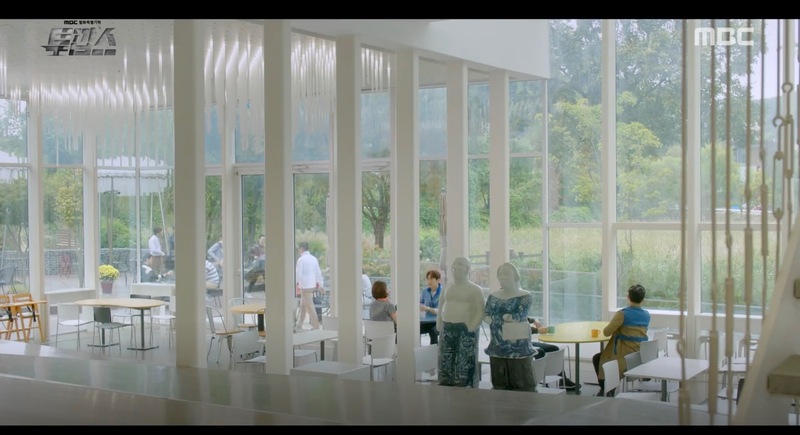 Han Ye-ri (Kyung Soo-jin) wakes up in a bed that is part of (as it looks like) an art installation that is hosted in this venue in episode 2 of Meloholic/Melo Holic (멜로홀릭) (OCN, 2017). 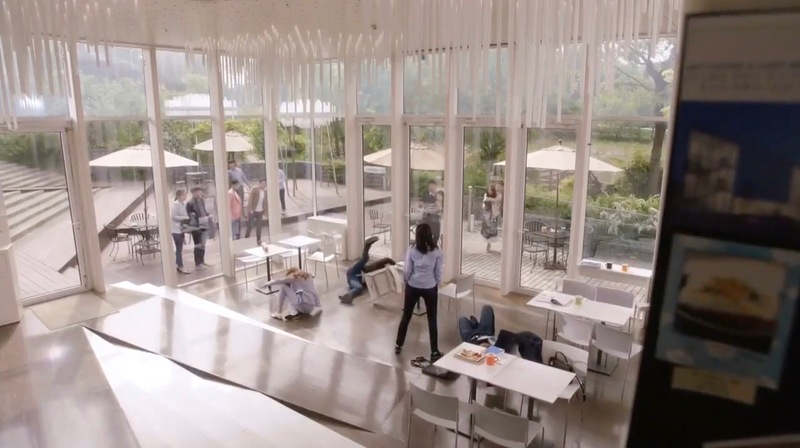 And she can’t remember how she got here. 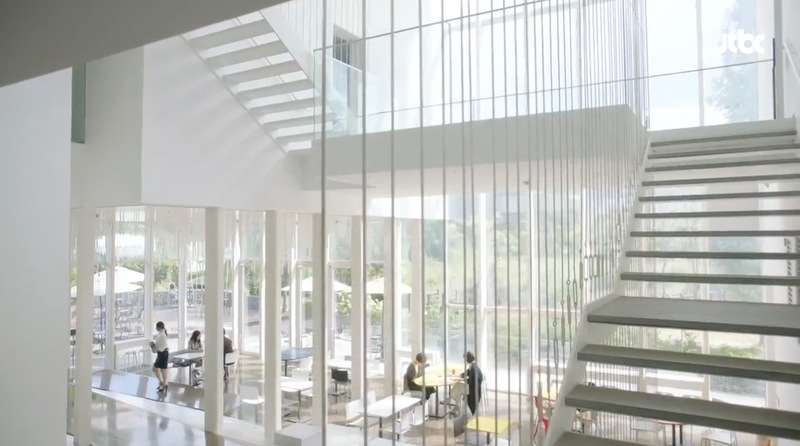 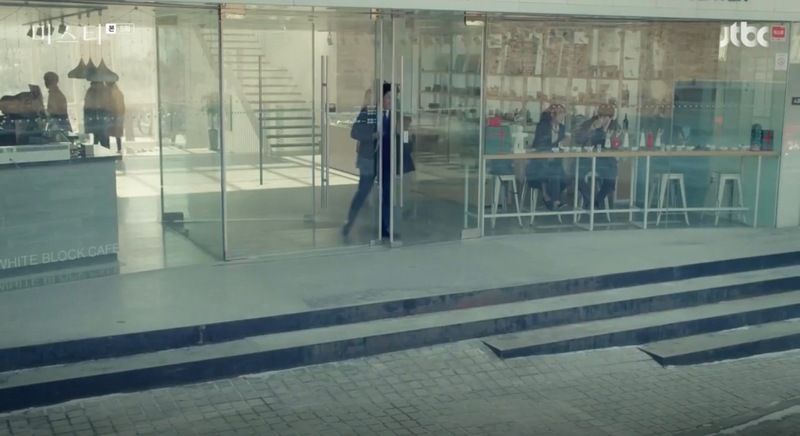 This is where the Buam-dong Social Avengers Club is founded in episode 1 of Avengers Social Club (부암동 복수자들) (tvN, 2017) and it becomes their headquarters. 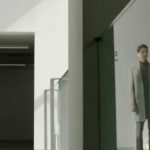 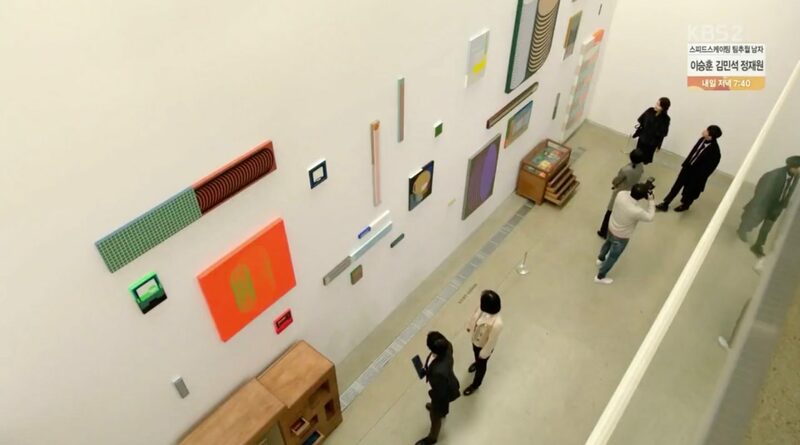 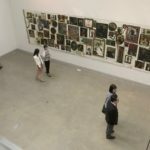 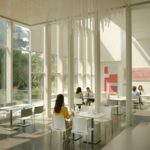 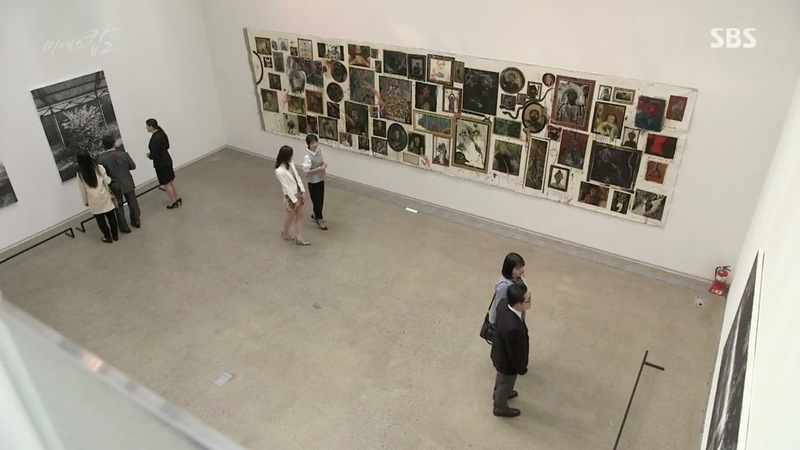 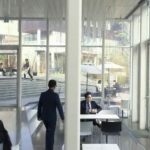 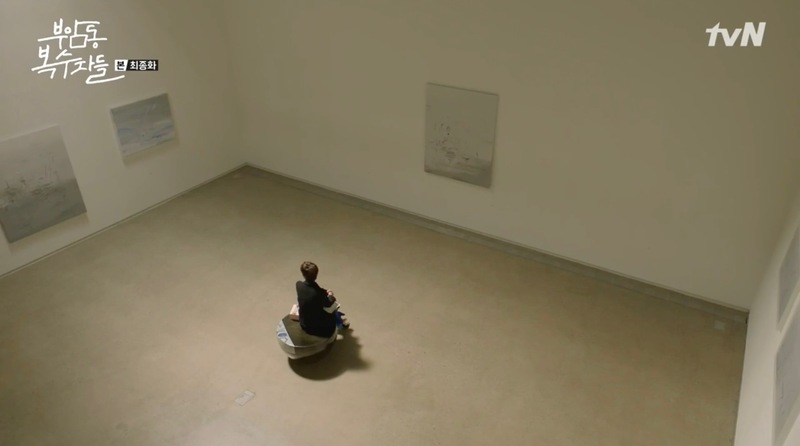 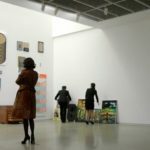 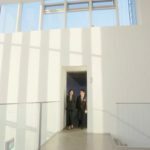 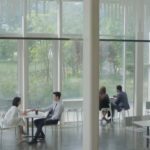 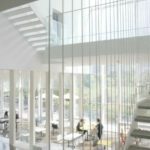 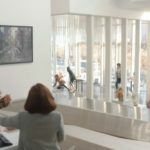 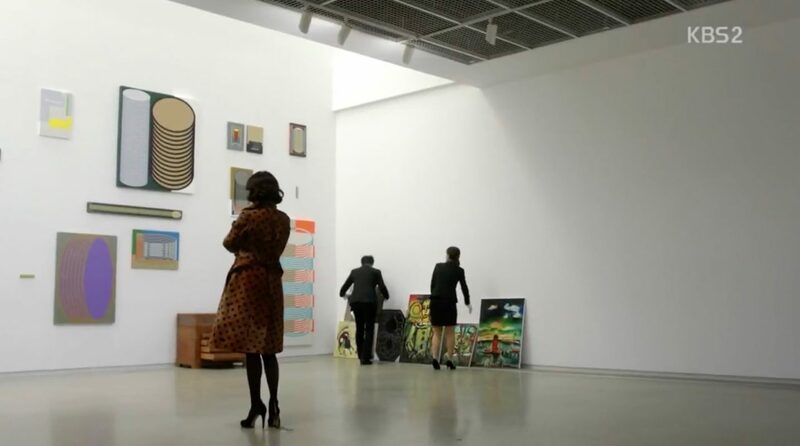 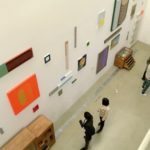 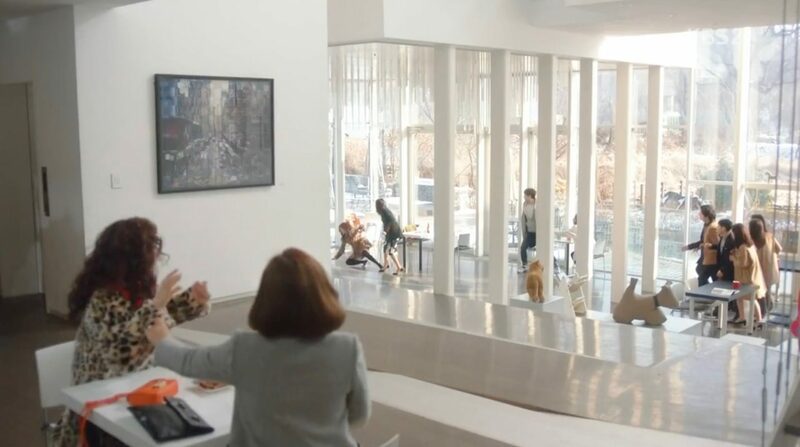 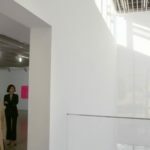 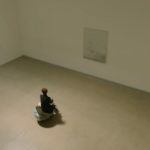 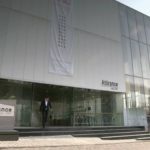 The gallery of Kim Jung-hye’s (Lee Yo-won) sister where both of them meet two times (once in episode 12) is the art gallery in the 2F of this place. 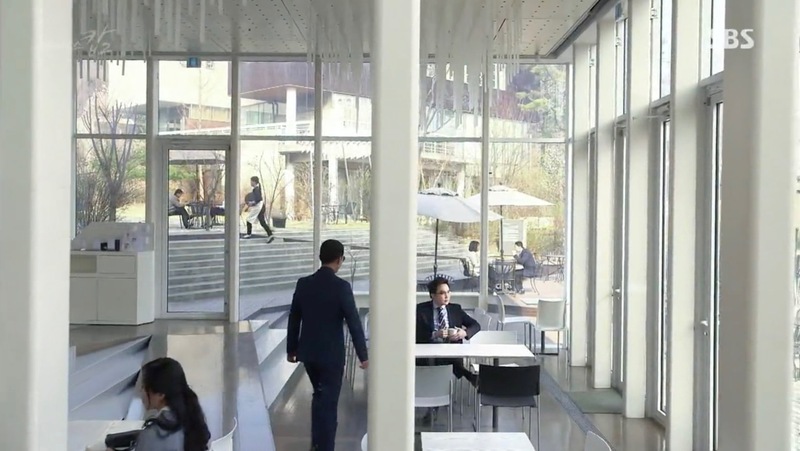 Nam Hong-joo (Bae Suzy) and Jung Jae-chan (Lee Jong-suk) meet up here in episode 12 of While You Were Sleeping (당신이 잠든 사이에) (SBS, 2017) to match their dreams. 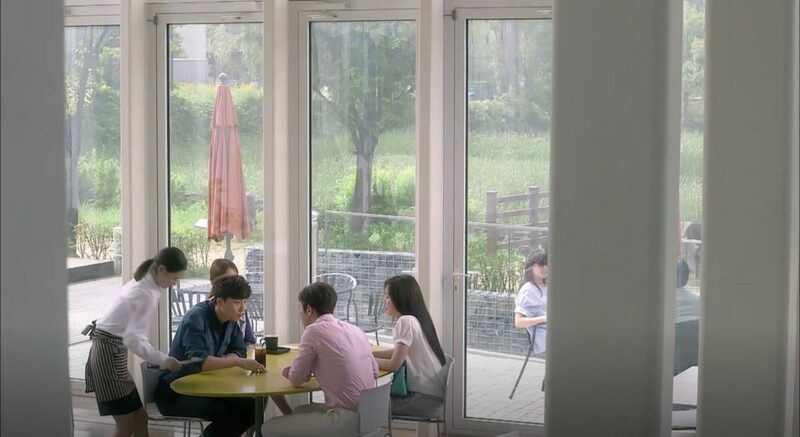 Eun Bong-hee (Nam Ji-hyun) looks through job offers here in episode 8 of Suspicious Partner (수상한 파트너) (SBS, 2017). 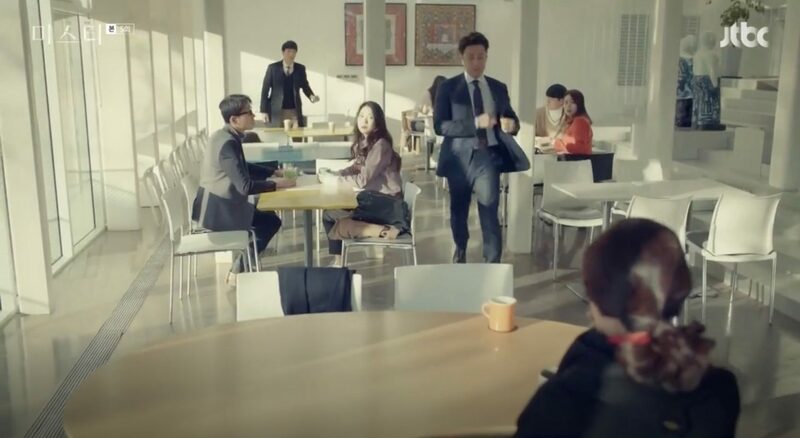 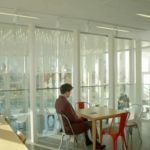 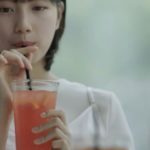 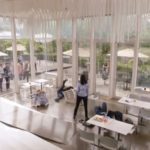 In the same time, Noh Ji-wook’s (Ji Chang-wook) ex-girlfriend Cha Yoo-jung (Kwon Na-ra) eats here and sees how some people steal the computer form the table next to hers. 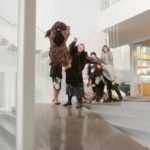 She stops them with some high-kicks and Bong-hee helps her out for the last in the bunch. 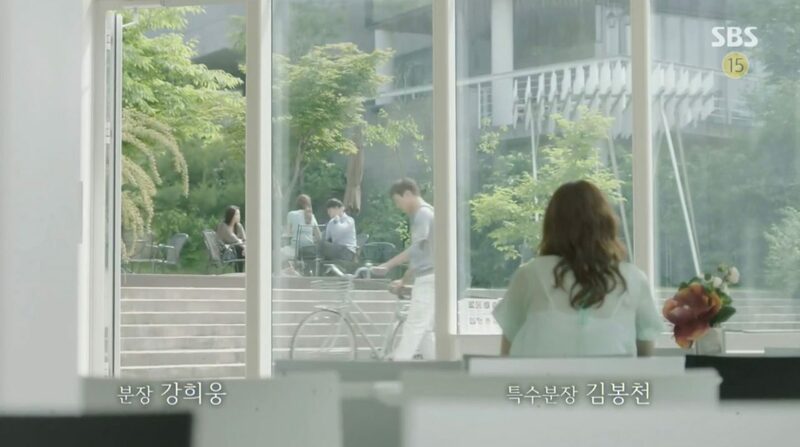 This is how both of them meet. 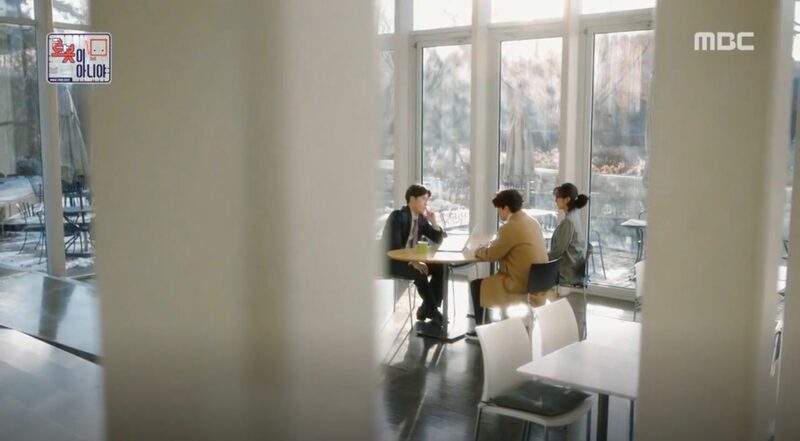 In Introverted Boss/My Shy Boss/Sensitive Boss (내성적인 보스) (tvN, 2017), Eun Hwan-ki (Yeon Woo-jin) practices with his secretary Chae Ji-hye (Han Chae-ah) how to go on a date here in episode 5. 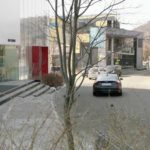 It is also the place where he is supposed to meet is crush later in the same episode – but everything works out differently. 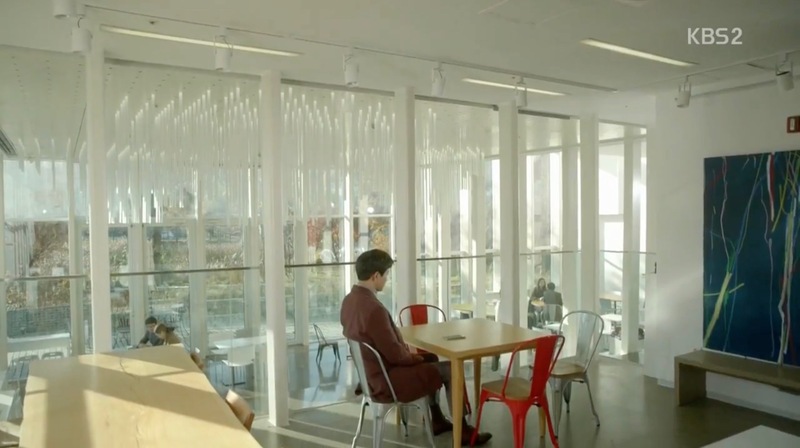 In episode 13, Chae Ro-woon (Park Hye-soo) comes here for an exhibition and meets Kang Woo-il (Yoon Park). 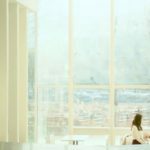 In Perfect Wife/Ms. 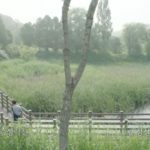 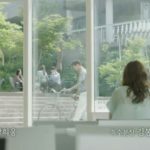 Perfect (완벽한 아내) (KBS2, 2017) this becomes also a meeting place in episode 2. 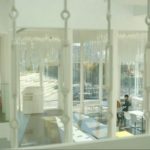 But this time all about affairs. 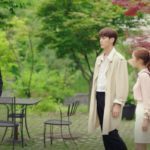 Sim Jae-bok (Ko So-young) meets the woman her husband has an affair with – Jung Na-mi (Im Se-mi) and her two best friends are there to back her up. 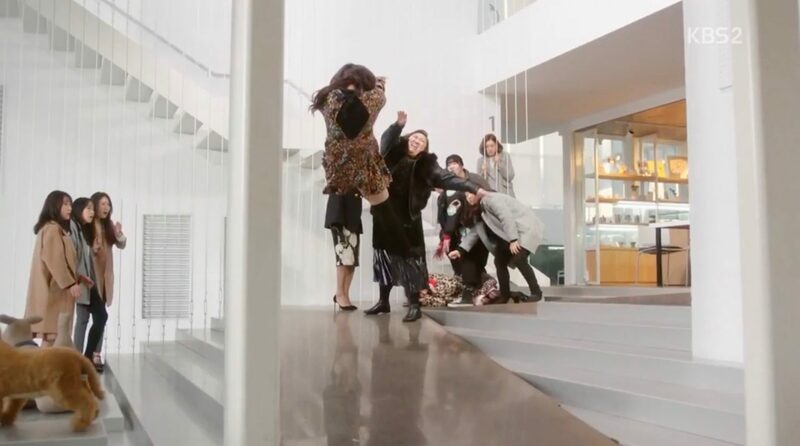 Everything get’s messed up when one of her friends gets aggressed by the wife of the man she’s having an affair with. 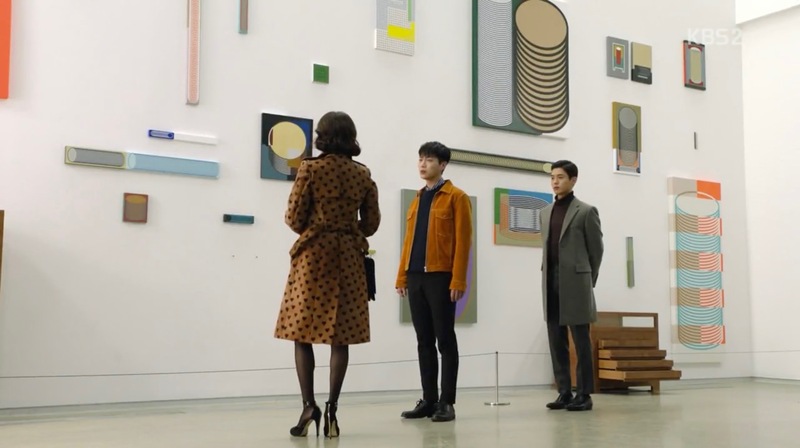 This is where the broker shares investment tips with some rich ajummas in episode 9 of Legend of the Blue Sea (푸른 바다의 전설) (SBS, 2016-17) — all part of the trio’s new scam. 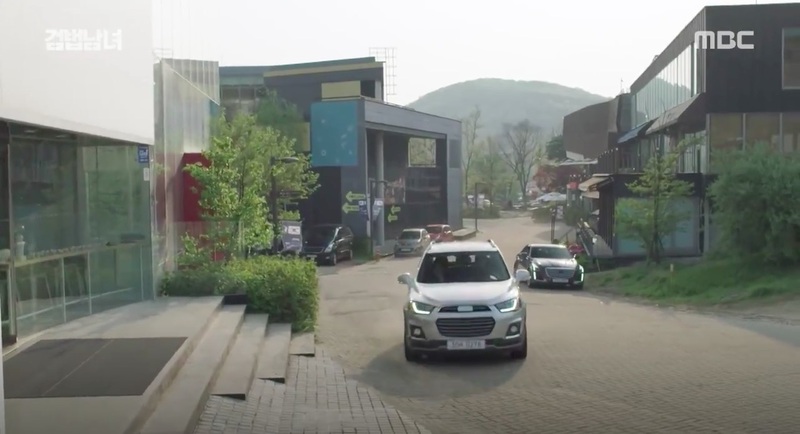 This is also where Choi Soo-ah (Kim Ha-neul) and Seo Do-woo (Lee Sang-yoon) meet at 2pm after Soo-Ah broke up with her husband in episode 16 of On the Way to the Airport (공항 가는 길) (KBS2, 2016). 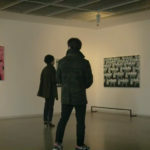 They both decide at that moment to keep their relation a text-message relationship for the time being. 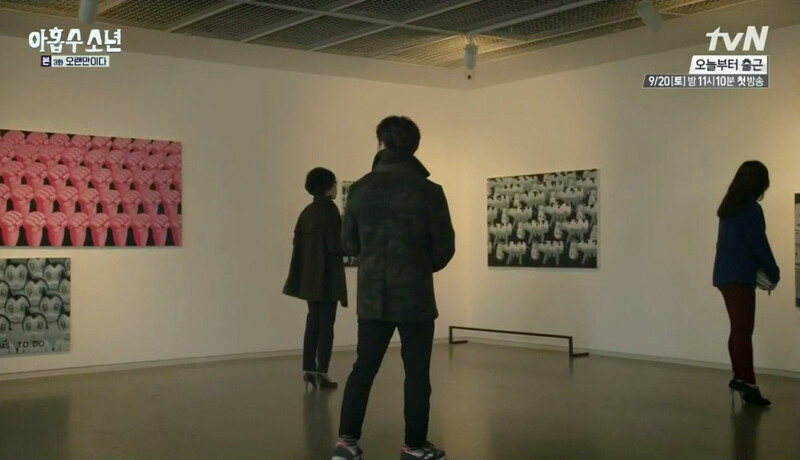 This gallery appears as ‘Attirance Gallery’ twice in episode 11 of Mrs Cop 2 (미세스 캅 2) (SBS, 2016) as a place of Lee Ro-joon’s (Kim Beom) schemings. 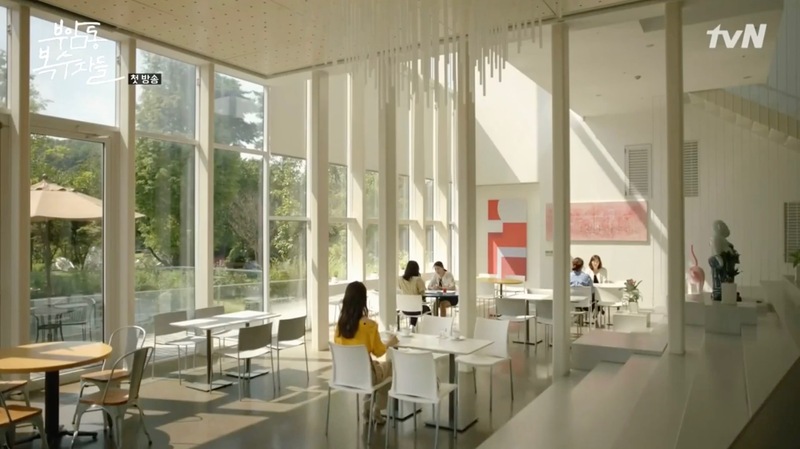 In Fantastic (판타스틱) (JTBC, 2016), it’s at the café of Gallery White Block where Lee So-hye (Kim Hyun-joo) and Hong Sang-hwa (Yoon Ji-won) meet to talk drama scripts and where So-Hye tells Sang-Hwa that she has cancer in episode 10. 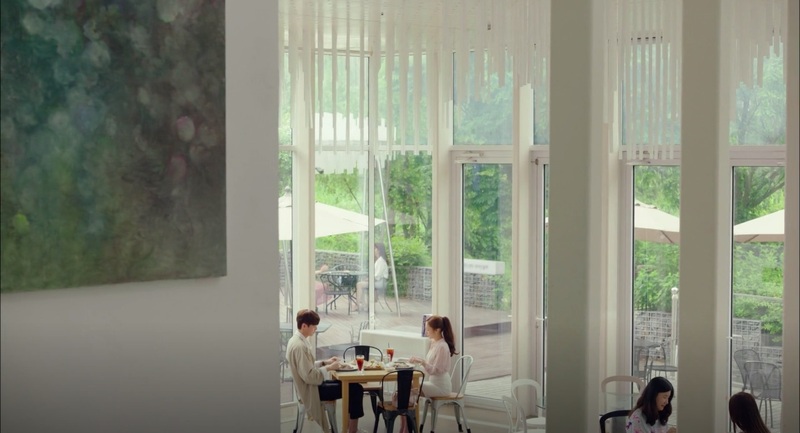 Hong Ji-hong (Kim Rae-won) meets the school’s principal in episode 3 of Doctors (닥터스) (SBS, 2016) in the Gallery’s cafe. 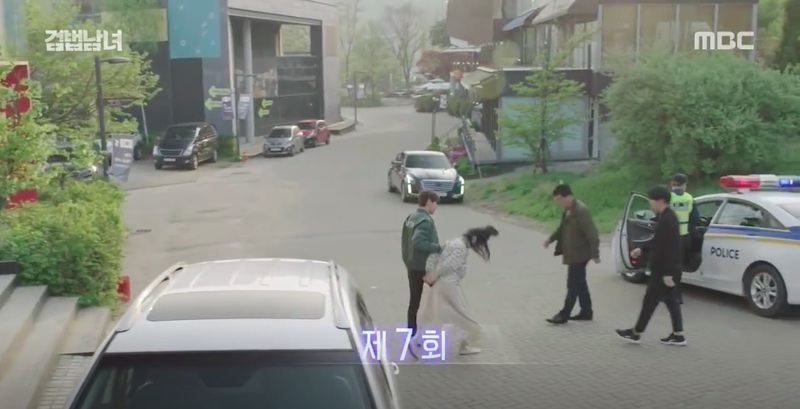 When Ban Ji-yeon (Uhm Jung-hwa) and Yoon Dong-ha (Park Seo-joon) find out that Jung Eun-chae (Jung Yeon-joo) and Yong Soo-cheol (Yoon Hyun-min) are dating all four of them come here in final episode 16 of A Witch’s Love/Witch’s Romance (마녀의 연애) (tvN, 2014). 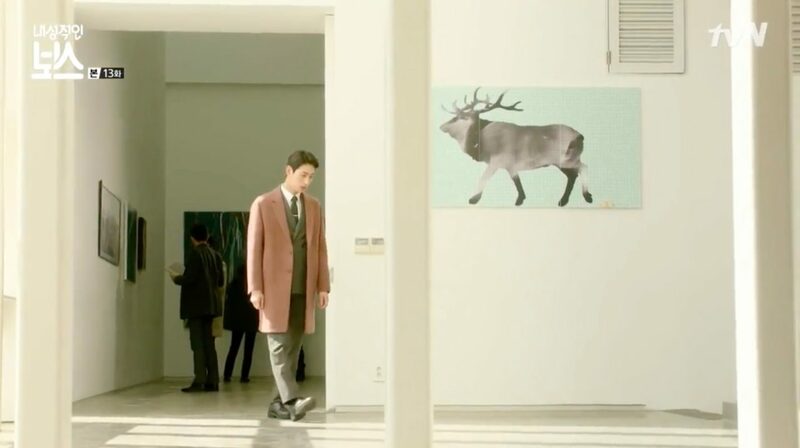 Also seen in Plus Nine Boys (아홉수 소년) (tvN, 2014, episode 2 and 3); Bubblegum/Bubble Gum (풍선껌) (tvN, 2015, episode 6); The Equator Man (적도의 남자) (KBS2, 2012) and Can’t Lose (지고는 못살아) (MBC, 2011). 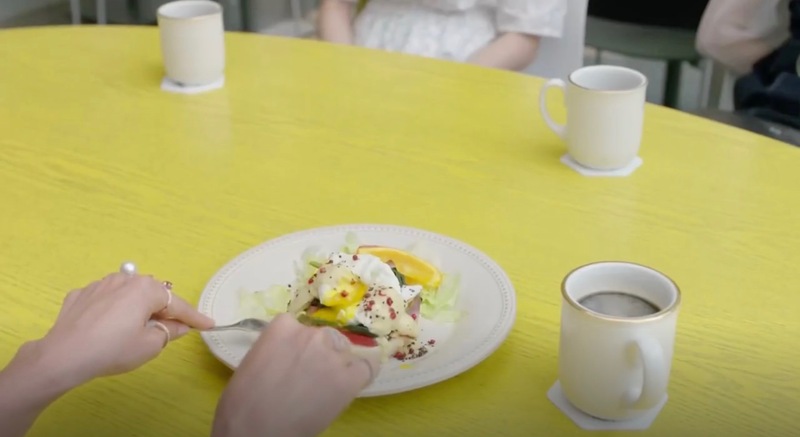 Screenwriter Jo Kyung-ah (Lee Mi-yeon) comes here with her son, Bom, and crosses paths with Jung Sung-chan (Kim Joo-hyuk) and Ham Joo-ran (Choi Ji-woo) in Likes For Likes/Please Like Me (좋아해줘) (2016). 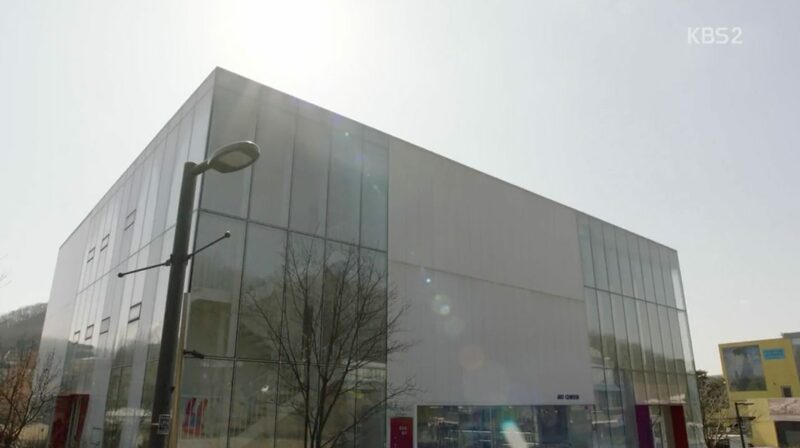 Gallery White Block / White Block Art Center [화이트블럭] is located in Heyri Art Village [헤이리예술마을], which makes up part of Paju’s [파주시] village of Beopheung-ri [법흥리] in the Tanhyeon Township [Tanhyeon-myeon/탄현면], Gyeonggi-do.